The healing power of herbs. Herbal formulas are used to treat many different ailments including cancer, allergies, skin diseases and infections, behavior problems, and gastrointestinal diseases. Often, herbs are part of an overall plan to address the primary cause of a problem, treat its symptoms and keep them from returning. Traditional Chinese Veterinary medicine (TCVM) evolved over thousands of years. Practitioners use herbal medicines and various mind and body techniques, including acupuncture, to treat or prevent health problems. In the U.S., Dr. DuBose and other veterinarians use TCVM as a complementary health approach. Chinese Herbal Therapy is a great way to accomplish treatment goals alone or in conjunction with Western medication. Dr. DuBose is available to make recommendations for your pet if you are interested in herbal treatments. If your pet is receiving acupuncture, herbal therapy will be discussed as a potential way to increase its therapeutic effects. Dr. DuBose may also discuss other principles of TCVM including food therapy and massage. We use only the best quality herbs free of heavy metals and contaminants. Ours are specifically for pets; therefore adverse reactions are extremely rare and negligible when compared to those commonly produced by pharmaceutical drugs. 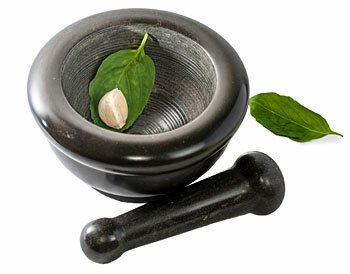 Herbs come in tea pills, powder, capsule and biscuit form. The herbs consist of many different things, the bulk of which are plant leaves, stems, roots, bark and fruits but can also contain minerals in multiple combinations to treat multiple health conditions. Can I buy herbal formulas on the web or at a health food store? It’s important to buy from a reputable retailer and know all the facts, including what the herb or spice is used for, its benefits, side effects and safe dosage. The formulas we use are sold only to licensed veterinarians with training in Traditional Chinese Veterinary Medicine. Our products are also manufactured in compliance with FDA regulations We do not maintain a large herbal pharmacy. Typically, we order herbs as needed by your pet. Please be sure to call us for a refill or herbal medications about 1 week before you run out. What brand do you carry? Dr. Xie’s Jing Tang Herbal, Inc. His products are manufactured in strict compliance with FDA regulations and pharmaceutical standards. Jing Tang brand herbal products are distributed exclusively through licensed veterinarians for the best and safest care of animals. What conditions are treated with Chinese herbs?